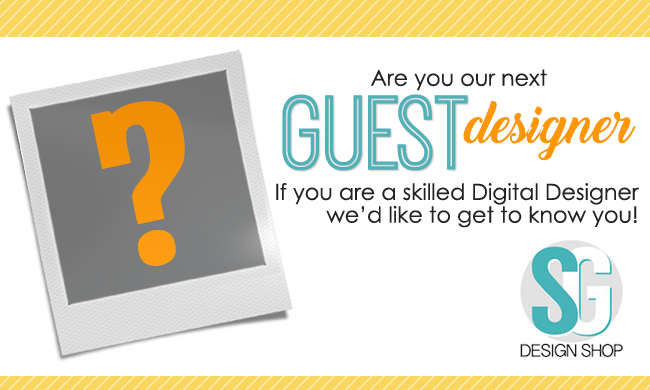 Do you want to become a guest digital designer at SG Design Shop? If you are an experienced designer of scrapbooking products or digital graphics you could become a guest designer for our store! We are always interested in adding new talent to our team & would love to hear from YOU! Read below to learn more about what we are looking for and how to get in touch.